Rocky Flats is one of the great reclamation stories in Colorado. In 1950, a nuclear weapons plant opened on this Great Plains landscape, just 15 miles northwest of Denver. After the plant ceased production in the 1990s, a wind technology center was built as cleanup of the old weapons plant started in earnest. Today, this center is the nation's premier wind energy research facility. But private mineral claims threaten the integrity of the wind center and the nearby lands. 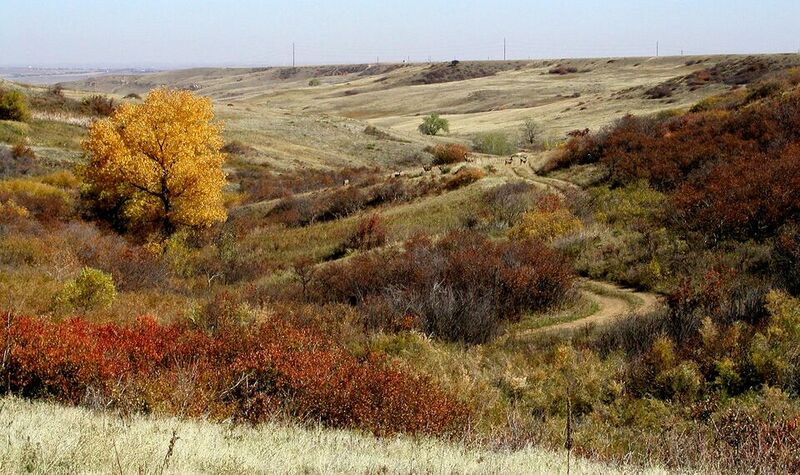 In 2007, The Trust for Public Land bought three of the four key mineral claims near the old plant, helping to protect the Rocky Flats National Wildlife Refuge. Since then, we continued to work with the U.S. Department of Energy, the U.S. Fish & Wildlife Service, the State of Colorado, and the Rocky Flats Natural Resources Trustee Council, and in 2009, purchased the last 314 acres of claims on the northwest edge of the Refuge. Doing so ensures that the wind research can continue and provides an important buffer to the Refuge.